Dust & Rust was started in winter 2014. 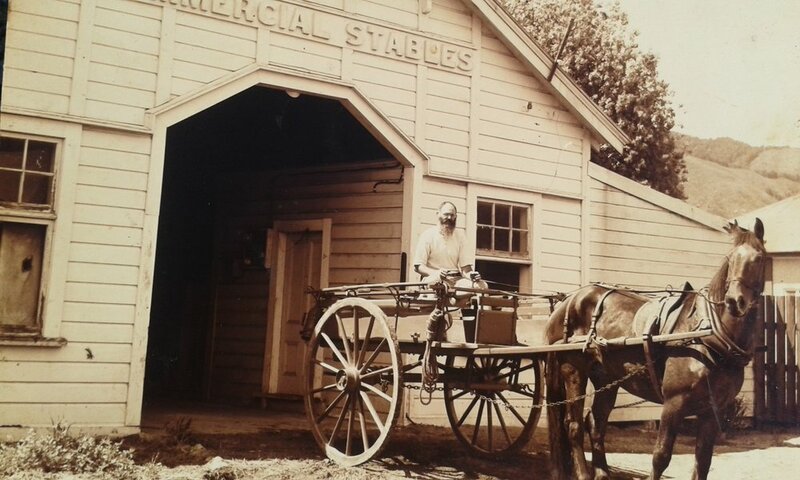 It all began with purchasing and renovating the Commercial Stables building in quaint and rural Murchison, in the Tasman District of New Zealand. The Commercial stables is the oldest remaining wooden stables in New Zealand, full of character and yesterdays charms. 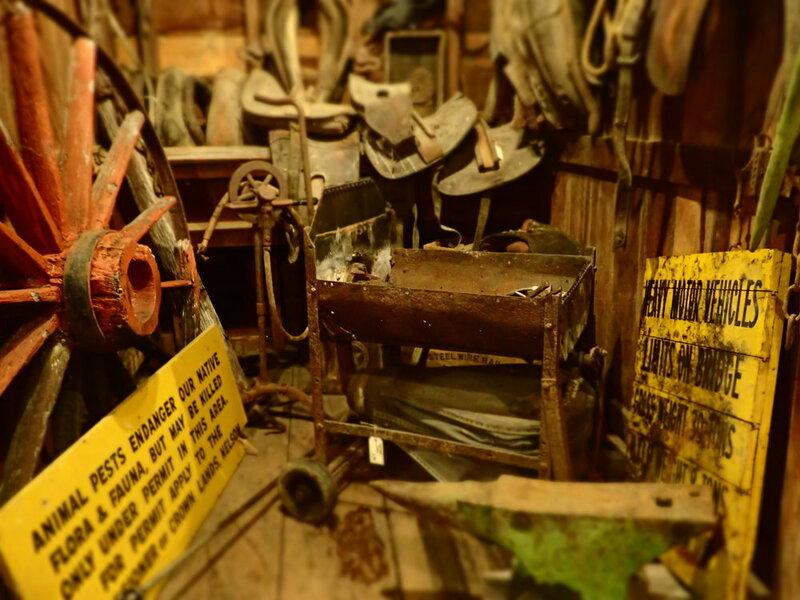 Dating from the heydays of Murchison's gold mining and horse transporting time of the 1890's. It is a Historic Places Trust registered building and it promised to be the perfect setting for our vintage store. So after a winter renovating, scrubbing and getting it ready to be a store, we opened the doors for trading in September 2014 and haven't looked back since. We are a youngish Kiwi / German couple with a shared love of things from the past,a hands on attitude and desire to try out new ways of presenting things. We like setting out little scenes like in a museum and sourcing unusual items to get the best of both worlds: store and museum in one. Always learning more about antiques and the stories behind them and how to restore and care for them. We love the way old materials like leather and wool, copper and cast iron, old enamel and glass feel and look like and the proven hardiness and good quality they innate. There is a reason why they are still around! Raw and unrestored blacksmith's tools & horse cart gear in the horse box, hand operated forge and anvil. In most cases we won't polish the brass or clean the lichen off old farming or country finds, because we like the way age & oxygen has enhanced metals, wood etc. That's why we often leave the patina, rust & verdigris where we see it fit. Dust & Rust! Other items like typewriters, hand sewing machines, cameras, carpentry tools and kitchen tools we like to clean, oil and adjust to bring them back to their former glorious performance. Reusing, recycling and repairing is an issue close to our heart, as is avoiding plastics, so we only use unbleached paper bags and cardboard labels with natural twine and recycle newspaper to wrap your purchases. We will reuse or recycle all plastics that turn up at our place. denoting something from the past of high quality. Vinyl played in store too. Murchison 1928. Commercial Stables is the second building from the back at the right ( then without the southern wing addition). The Commercial Stables used as a Stables in the 1970's. Since all our goods are genuinely from the past and not reproductions,we might have only one of these items available. Our stock is constantly changing,these photos are a gallery of our wares of the past and the present. Please contact us if you are interested in one of the items in the photos to see if it is still available. Or visit us in Murchison !